“Our faith in Allah gives us energy to move forward and the optimism needed to take advantage of historical change. We’d have to step through a long journey towards freedom. We will continue to fight until we restore all of our rights” Hindi added. In Hindi’s view, several reasons lie at the heart of Israel’s reluctance to wage a large-scale war on Gaza particularly given Palestinian resistance’s perseverance, the Israeli internal situation, and the regional and international conditions. Even the privileges that the occupation draws from the Israeli-U.S alliance, Hindi maintains, will not make it possible for the re-occupation of Gaza. “Israel is afraid because of the determination of the people there. This is why the re-occupation decision seems to be fake and unconvincing”, he said, adding, “Today the Palestinian resistance is able to take advantage of its deterrent power to discourage the enemy”. “The Palestinian resistance in Gaza has gone through several changes. It seems it has drawn many lesson from the struggle. But so much has still to be done and the situation is quite naturally challenging,” said Hindi. As far as the negotiations are concerned, Hindi points out that agreement would be problematic in all cases. “If an agreement is set then the situation will become disastrous given the power disequilibrium that characterizes the region; if not, Israel will take advantage of agreement delays to carry on what it has already planned since the Oslo agreement, including confiscation and judaization schemes”. “Palestine will be liberated soon, as God has already promised. But we have to be up to the current challenges and responsibilities before any victory can be achieved. Palestine should be everybody’s cause. True, no significant transformations have been brought to the scene yet. But this sounds quite natural. A quick glance at history shows us that it takes a long time for any historical transformation to blossom,” Hindi declared. “While in Egypt and Tunisia I met several people who spoke about tacit schemes aiming at blocking the Nation’s moves towards freedom so as to delay their contribution in the Palestinian struggle for as long as possible”. In the same context, Hindi stated that The Islamic Jihad movement and Hamas share a mature political vision. “They are both unyieldingly clinging to Palestinian canons on the basis of Islamic-based stratagems”. “Of courses there are differences,” Hindi declared, “but we are of the same mind when it comes to the importance of resistance in the Palestinian fight for freedom. Now that the negotiations seem to be heading nowhere, we call for the need to make up our minds for a national agreement that meets the current challenges and needs, away from all external pressures”. Hindi concluded the interview by denouncing any legitimacy to the fierce campaign triggered by the Egyptian media on the Gaza Strip and the Palestinian resistance, insisting on their vital role in the Palestinian fight for freedom. “We have hundreds of prisoners, wounded, and disabled people. Everybody knows what harm IOF have done to us. We are looking forward to your help and support in lifting the siege and restoring our freedom” Hindi said in a message to the Egyptian authorities. Hindi also, thoughtfully, called attention to the current Syrian tragedy, insisting on the need to find out a political solution that preserves the nation’s unity and gives Syrians the possibility to build their future far from any external pressures. Hindi further confirmed his Movement’s readiness to run for general elections and to join in the management of Palestinian internal affairs away from the pressures and whims of the Oslo agreement. Frank Barat is an activist based in Belgium and is one of the former coordinators of the Russell Tribunal on Palestine. He recently conducted an interview with Leila Khaled for "The Wall has Ears: Conversations for Palestine." 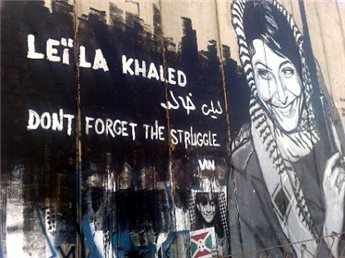 Leila Khaled is a former resistance fighter with the Popular Front for the Liberation of Palestine. Born in Haifa but forced to flee to Lebanon in 1948, she gained worldwide notoriety for her role in the PFLP's strategy of hijacking aircraft carriers in the late 1960's and 1970's. How are you Leila? What are you doing nowadays in Amman? I am fine as long as I am a part of the struggle for freedom, for our right of return and for an independent State with Jerusalem as capital. I know it is not going to happen in the near future, but I am fighting nevertheless. Here in Amman, I am the chief of the department of refugees and Right of Return in the Popular Front for the Liberation of Palestine. You are a Palestinian refugee, one of 6 million. Do you still think that you will return one day? And what do you make of the conditions of the Palestinian refugees in Lebanon, who are denied their most basic rights and yet, are sometimes criticized for trying to improve their lives in Lebanon as this might affect their right of return to Palestine? The Palestinians were distributed to different countries. Each country has had an impact on the people living there. Those in Lebanon, in the 70s and 80s, until 1982, were the ones that helped the armed struggle, that helped defend the revolution. Israel was attacking and invading all the time and occupying parts of the country as well. After 1982, the main mission of the Palestinians was to achieve their rights, their civil and social rights, which they are deprived o in Lebanon. This will enable them to be involved in the struggle for the right of return. The Palestinians in general take the Right of Return as a concept and as a culture. Any Palestinian will tell you that he fights for his social and civil rights, but this means that he is preparing himself for his return. The two are inseparable. The question of the refugees, in the negotiations, has, in the last decade, become more and more obsolete, something that is no longer an inalienable right but something that can be negotiated. The same applies to the last round, the "Kerry negotiations." What do you make of this? And what do you think is going to happen after April 29 when the negotiations are supposed to end? The PFLP and myself personally have been against the negotiations since 1991. The problem is that the two parties are sticking to their guns. The Israelis think that Palestine is the land for the Jews all over the world. The Palestinians are sure that the land belongs to them and that they were forced out in 1947/1948. When this conflict moves from one stage to the next the two sides are considered as even in their power but the fact is that we are not (this is just an illusion). The leadership chose to go for the Oslo Accords, thinking that this was a step forward in achieving the main rights of the Palestinians. Some people believed this, but they discovered, after twenty years, that it was nonsense. It brought catastrophe on us. There are more settlements than ever, twice more than before Oslo, the number of settlers has doubled, more land is being confiscated, and, of course, the Wall has been built. The apartheid wall. Israel is an apartheid state. These negotiations, now, are meant to help Israel and not the Palestinians. We have already experienced what Israel means by negotiate. Israel never respects its promises, its obligations, and simply continues its project of making Palestinians' lives hell. My party and I are against this last round of negotiations too, of course. Especially now. The Americans are supporting an Israeli project that will only help Israel. There was an agreement, sponsored by the Americans, which said that you had to stop settlements in the West Bank and that 104 prisoners should be released on three different dates. 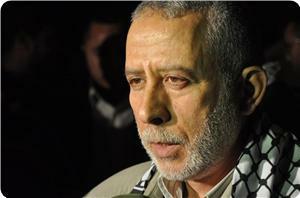 Now, the Israelis have said no, we will not abide by this agreement and we will not release the last batch of prisoners. By the way, those people who are released, are often put back in jail shortly after anyway. This is what the Israelis refer to as the rotating door policy. The politicians say that the prisoners should be released but they are then rearrested. Many of them are already back in jail. It is very clear from this that the Israelis are not ready to make peace with the Palestinians. They are also taking advantage of the fact that the Arabs are occupied with many other issues, and do not support the Palestinians. Nobody is therefore going to condemn Israel when they flout the agreements they sign. Also, what does Kerry want? What is his plan? Nobody knows. It's all verbal. Nothing is written. The leadership should refuse what Kerry offers. By the way, Kerry did not go back to Ramallah with another offer. Which means that the Palestinian Authority (is going to use its second option and go back to the UN then, today, in the news, the US has again said that it will object to such a move. What does this all mean? I do think that we need first to consider the nature of the State of Israel. Secondly, we have to understand more about their projects and plans. Thirdly, we know that the Israelis are much more powerful than us in some respects. But we are also powerful. It all depends on our people. We have the will to face the challenges that the Israelis are putting in front of us. There is an English saying that says: "When there is a will, there is a way". We still believe that this is our right and that we have to struggle for it. We have struggled, we are struggling, and we will struggle. From one generation to another. Freedom needs strong people to go and fight for their dreams. That is why I do not think that there will be a settlement now. The Americans always want to prolong the negotiations. This will not help. If negotiations do not bring peace to the Palestinians, what will? What should the leadership do? Resist! That's how you achieve your rights as a People. History has shown us that. No People achieved their freedom without a struggle. Where there is occupation, there is resistance. It is not a Palestinian invention. We are actually going to call for a conference to be held under the auspices of the UN, just to implement the resolutions taken by this body on the Palestinian question. Resolution 194 calls on Israel to accept the return of the refugees. Fine, let's put the UN on the spot. Let's have a conference reminding people of this. The problem is that the references to any negotiations that have taken place were drafted by the Americans, which we know are biased towards Israel. PLO stands for Palestine Liberation Organization. Do you think it has lost its true meaning? Bassam Shaka in 2008 told me that the PLO, before anything, needed to go back to its roots as a liberation movement. No liberation is achieved without resistance. My party has not changed. It has stuck to its original program. We are calling to escalate the resistance. People talk about popular resistance. It does not only mean demonstrations. Using arms is also popular. We have people who are ready to fight. What does peaceful and non-violent resistance means for someone like yourself, who chose armed resistance as a mean for liberation? Resistance takes more than one face. It can be all kinds of resistance. Non-violent and violent. I am OK with those who choose non-violence. We are not going to liberate our country by armed struggle only. Other kinds of resistance are necessary. The political one, diplomatic one, the non violent one. We need to use whatever we have got. For more than 10 years now, people have been demonstrating in Bilin, in Nabi Saleh....protesting the wall and the annexation of the land. How is Israel dealing with it? Violence, tear gas, bombs... Do you think it is acceptable to have an army with a huge arsenal, against people holding banners? I am OK with using all means of resistance. We cannot say that non-violent resistance alone will achieve our rights. We are facing an apartheid State, Zionism as a movement, the Americans, and in general, the West, which supports Israel. When the balance of forces changes, then we can start thinking about negotiating. It is always easier to advocate for armed resistance when the general public knows who is the oppressor and who is the oppressed. Your actions in 69 and 70 were about that, correct? To put Palestine on the map. Do you think the educational process of showing another face of Palestine, showing that the Palestinians have legitimacy and are in the right, has been done enough since the 70s? Let's take the example of Vietnam. Or of Algeria and South Africa. People needed time to convince the whole world of the just cause of their struggle. It took time. In the end, the world realized that those who are oppressed have the right to resist the way they want to. Nobody can impose a form of resistance on us. We chose armed struggle. We did not achieve our goals. Then the intifada broke out and the whole world took us seriously. We gained the support of people all over the world. Still, we did not reach our goals because the leadership was not brave enough at that time to escalate the intifada, to take it to another level. Israel was ready to accept to withdraw from the West Bank and the Gaza Strip. But our leadership failed us. The intifada was the choice of the people. If you go back to the beginning of the resistance and holding arms. It was a necessity for the Palestinians after 1967. We depended on the Arab countries to restore our homeland. But they failed us too. Israel occupied more of Palestine. So we decided to take our destiny into our hands. By waging an armed struggle. Nowadays people are waiting but they realize that these negotiations will get us nowhere. Our past experiences with Israel have shown us that they cannot be trusted. They do not respect their words. Threaten us all the time. Abu Mazen is not a partner for peace? Who is? Sharon? Netanyahu? This right-wing government? This is not a government, it is a gang, essentially, which represents the settlers, the fascists, the racists. The lie began last century. That this was the land of the Jews. The bible gave it to them. Is this democratic? The world in 1948 accepted this lie. God promised us the land! As if God was an estate agent. This is a colonial project. This is the main issue of the conflict. The struggle is about ending Israel's settler colonial project, then, ending apartheid. What will happen, in your opinion, the day after? The day after victory? An Algerian like solution, or a South African one? We have always offered the more human solution. A place where everybody lives on an equal basis. Jewish, Muslims, I do not care about the religion of the person. I believe in the human being itself. Human beings can sit together and can decide together the future of this land. But I cannot accept that I do not have the right, now, to go back to my city. Like six million Palestinians. We are not allowed to go there. We are offering a human and democratic solution. Nobody can tell me that we cannot decide the fate of our country because we are refugees. What happened to us is a first in history, as far as I know. People being chased away from their homes and another people, coming from very far away, taking their places. The Israelis were citizens of other countries. Israel, thanks to various organizations, before 1948, built an army, Okay, but there was no society. They brought people from outside. Even now, there are huge contradictions in this country and this society. People come from different cultures, some do not even speak Hebrew. We do not want more blood, but are obliged to resist. We have the right to live in our homeland. When the Israelis realize that as long as they do not budge this conflict will be endless, they should accept our solution. Some Israelis have already understood that. That you cannot go on fighting forever. What for? Can you talk to us about the role of women in the resistance. And do you think your actions, the hijackings in 69 and 70, did more for Palestine, or for women around the world, or both? The hijackings were a tactic only. We wanted to release our prisoners and were obliged to make a very strong statement. We also had to ring a bell, for the whole world, that we the Palestinians are not only refugees. We are a people that has a political and a human goal. The world gave us tents, used- clothes and food. They built camps for us. But we were more than that. Nowadays there are plans to end the camps, because they are a witness of 1948. Women, are part of our people, they feel the same injustices. So they get involved. Women give life. So they feel the danger even more than men. When they are involved, they are more faithful to the revolution because they defend the lives of their children too. When I gave birth to two children, I became more and more convinced that I had to do my best to defend them and build a better future for them. I felt for women who had lost their children. So I think my actions had an impact on both, to answer your question. The popular front slogan was: "Men and Women together in the struggle for the liberation of our homeland." The PFLP implemented that by giving a place to women in the military. At the same time, women also played a big role in defending the interior front, the families. Thousands of Palestinian women are now responsible for their families. After all the wars, the massacres, the arrests, the killings by Israel, these women protected their families from being dispersed. Also, women are now educated, they work, they travel, go to university and so on. Before the revolution, it was not like that. Now it is. And it is a must. You can see that women are involved in many aspects of the struggle and society. Whether it is inside or outside Palestine. Lina Makboul who directed the film "Leila Khaled; Hijacker" implies in her last question in the film that your actions did more harm than anything to the Palestinian people. The film stops right after the question. What did you answer? She told me she did this for cinematic purposes. But I did not like that. The fact that people could not hear my answer. My answer was no, of course! My actions were my contribution to my people, to the struggle. We did not hurt anyone. We declared to the whole world that we are a people, living through an injustice, and that the world had to help us to reach our goal. I sat with Lina for hours and hours you know, telling her the whole story. She told me afterwards that Swedish TV only wanted the question. Do you sometimes reflect on the past? What was done, what could have been done, what could have been done differently, when you see the current state of affairs? What went wrong? Recently my party has held its seventh conference and reviewed its positions. We then made a program to widen our relations with the progressive forces around the world, especially on the Arab level. We also decided to strengthen our interior structure. I also learned that I had to review my own positions, my own thinking. Every year, around December, I look back at the past year and then decide to do something for the coming year. This year, I decided to quit smoking, so I did. I made this decision and it was easy for me to implement it. 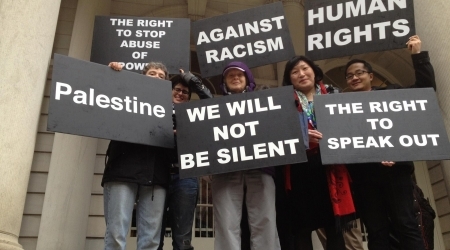 Why has Palestine, in your opinion, become such a symbol for the solidarity movement? Palestine for me is Paradise. Religions talk about paradise. For me, Palestine is paradise. It deserves our sacrifices. Interview originally published on "The Wall has Ears: Conversations for Palestine" on April 3, 2014. 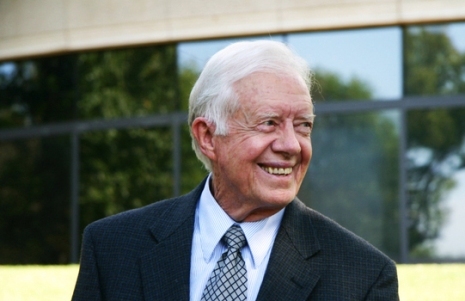 Former US President Jimmy Carter on Monday expressed support for the PLO's move to seek membership in international organizations. "The decision by the Palestinians to exercise their right to join international organizations should not be seen as a blow to the peace talks," Carter said in a statement. "I hope that, on the contrary, it will help to redress the power imbalance between Israelis and Palestinians, as we approach the 29 April deadline set by Secretary Kerry." The Elders, an independent group of global leaders who work together for peace, said Monday they are "deeply worried" by the current impasse in negotiations, but noted that President Mahmoud Abbas' decision to sign letters of accession to 15 treaties is "consistent with the UN non-member observer state status obtained by Palestine in November 2012." Gro Harlem Brundtland, former Prime Minister of Norway and deputy chair of The Elders, said as a UN non-member observer state, Palestine is "entitled to join international bodies." "This move opens the way to more inclusive and accountable government in the West Bank and Gaza. It has the potential to strengthen respect for human rights and provide ordinary Palestinians with essential legal protections against discrimination or abuses by their own government," he said. "In global terms, it will also increase their ability to enjoy, in practice, the protection of their basic rights granted to them by international law." The Israeli government's March 29 failure to release the agreed-upon fourth round of Palestinian veteran prisoners -- jailed before the 1993 Oslo Accords -- has brought the US-brokered peace talks close to collapse. The PLO responded by applying for membership to 15 international treaties. Palestine’s adoption of human rights and laws-of-war treaties would not cause any change in Israel’s international legal obligations. Abbas signed letters of accession to core human rights treaties including the International Covenants on Civil and Political Rights and on Economic, Social and Cultural Rights and the conventions on the rights of the child; the elimination of discrimination against women; and against torture, apartheid, and genocide. Abbas also signed requests for Palestine to accede to treaties on the laws of war, including the Hague Regulations of 1907, the four Geneva Conventions of 1949, and their first additional protocol. The human rights treaties he signed would impose obligations on the Palestinian government to respect, protect, and fulfill the human rights of people under their authority and effective control. The Palestinian Authority in the West Bank was not eligible to sign human rights treaties but its officials had repeatedly pledged to uphold human rights norms. Human Rights Watch has documented serious abuses by Palestinian security forces, including torture, arbitrary arrest, and the suppression of free speech and assembly. Ratification of the Hague Regulations and Geneva Conventions would strengthen the obligations of Palestinian forces to abide by international rules on armed conflict. Palestinian armed groups are already obliged by customary international law on armed conflict, including prohibitions on targeting civilians and on carrying out attacks that do not discriminate between civilians and combatants. Armed groups in Gaza, which operate outside the authority or effective control of the Palestinian leadership that signed the treaties, have committed war crimes by launching indiscriminate rocket attacks against Israeli population centers. Abbas signed the treaties for the state of Palestine, which the UN General Assembly granted non-member observer state status in 2012. In either case, the US is mistaken to oppose a step that might lead to greater respect for rights, which could help create a better environment for peace negotiations, Human Rights Watch said. On April 1, the day Abbas signed the accession instruments for the treaties, Israel reissued tenders for the construction of 708 settlement housing units in the Israeli settlement of Gilo, while Israeli forces demolished 32 Palestinian-owned homes and other structures in the occupied West Bank, forcibly displacing 60 people, according to data collected by Ir Amim, an Israeli civil society group, and the UN Office for the Coordination of Humanitarian Affairs. Under the Geneva Conventions and the ICC statute, settlement construction and the deliberate forcible transfer of civilians from their homes and communities in occupied territory are war crimes. Israel has ratified core human rights treaties but officially claims that its rights obligations do not extend to Palestinians in the territory it occupies, where it says the laws of armed conflict apply exclusively. UN rights bodies have completely rejected this argument on the basis that an occupying power’s human rights obligations extend to people living under its effective control. Israel additionally claims, also in the face of nearly universal rejection, that the Fourth Geneva Convention, which prohibits transferring its civilian population into occupied territory, does not apply to its settlements in the West Bank. The Almond tree is now barely breathing south of the Gaza Strip due to the bullets fired by Israeli occupation forces (IOF) from adjacent military barracks. Paradoxically enough, the tree’s last breath is taken away as its flowers are unable to blossom because of IOF uninterrupted shootings. An unusual silence engulfs the area and a wind, carrying bad omens, hangs over the place, foretelling an awaited tragedy that is due to contaminate the military-controlled border fence. The Almond tree is forced out of the border’s military sites due to the brutal uprootedness-processes so frequently executed by IOF on several lands during Al-Intifada. Other geo-economic factors were also decisive in dislodging the Almond tree from its native soils. Persistent as the tree has always, literally and symbolically, been, it has never ceased to find a new home where it can set up its roots in other regions of Khan Younis, south of Gaza Strip, seeking out fertile soil and fresh water in its eternal quest for survival. The overall area of green almonds has reached 735 dunums with a yearly production that has gone up to 642 tons. Suleiman added as he wiped his sweating forehead: “The growing of almonds has declined due to several reasons most notably the occupation’s conscious and subconscious attempts to obliterate its existence, particularly near the borders, as if by doing so they seemed to concretize part of their de-historicization plans. The tree was the sole source of life to dozens of farmers. I myself had more than 40 dunums uprooted in 2004 by Israeli bulldozers which deracinated other fruitful almond trees in two other neighboring orchards. For native inhabitants the tree has not only been the sole source of life, but for many of us it represented life itself. The tree has been the farmer’s 40-year companion denoting an eternal love story that has been enthralling the man for years. As I headed toward the east, I met Haj Suleiman Samiri, 70, nicknamed the "home" for his astounding ability to tell of the city’s tales in minute details. Haj Smiri who has just woken up from an afternoon nap told us, as he did many before us, that the Almond tree has been planted in the village for decades when it wasn't possible for Israeli occupation to reach our orchards. But now things have changed and Almond trees have either disappeared or, in the best of cases, replaced by other plants. Everybody knows what harm IOF has done to us. Huge amounts of almonds used to be cultivated for local and external use. I myself had grown15 dunums of almond trees but in the aftermath of the Israeli occupation only one has remained! 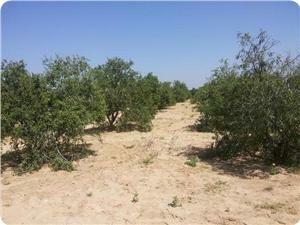 Today we can barely come across a single new Almond tree grown in the area. PIC news reporter quoted Fathi Abu Shamala, head of Almonds Horticulture Department at the Ministry of Agriculture, as stating that such rainwater-dependent-trees are now threatened with extinction given the insufficient rainwater and lethal diseases contaminating the area along with the frequent brutal uprootedness procedures recurrently executed by the Israeli occupation forces. Today most of the stories told by Almond tree farmers about the existential and historical value of the tree are characterized by mixed feelings of pride and regret, with the former designating the tree’s eternal quest for survival and the latter foreshadowing the tragedy of a tree that is due to perish as a result of the Israeli occupation’s practices. Cheif Palestinian Negotiator, Saeb Erekat, called for the necessity to convene the Palestinian National Council, which is the legislative body of the Palestine Liberation Organization, with the participation of the Hamas and the Islamic Jihad, adding that the election of a new executive committee will be serving as "interim government of the state of Palestine". 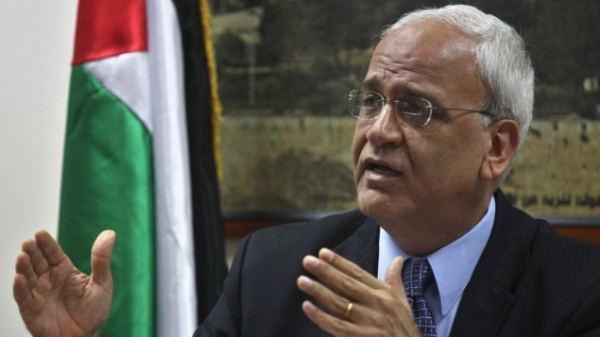 Erekat considered in a study he prepared under the tile "How the Palestinians deal with the US Proposals?" that this recommendation adheres to the resolution adopted by the United Nations in November 2012 to recognize the State of Palestine. Livni threatened that, unless the Palestinians void their application to join the UN organizations, Israel will not release any Palestinian detainee. Haaretz said that the Israeli government also decided to impose a series of punitive measures against the Palestinians in the occupied West Bank. It said Netanyahu and his Defense Minister Moshe Ya’alon instructed the coordinator of “Government Activities” in the occupied territories, Major General Yoav Mordechai “to prepare a list of all possible measures” to punish the Palestinians. 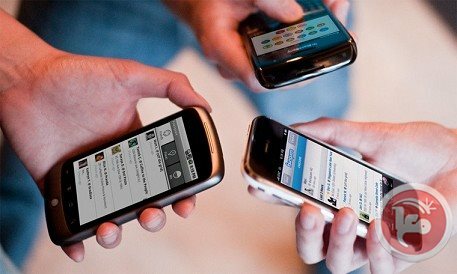 One of the measures is to suspend a permit to the “Wataniya” Palestinian wireless provider, operating in the West Bank, and to prevent it from bringing its equipment to the Gaza Strip where it intends to provide services. On Thursday, United States Secretary General John Kerry allegedly tried to get Netanyahu to have restraint in order to avoid a “total collapse of peace talks”, yet, when he made public statements, he urged both Israeli and Palestinian leaders to act on saving the peace process. Haaretz said that an Israeli-Palestinian and American talks session started on Wednesday evening around 7:30 in the evening, and continued until 4 at dawn on Thursday, but yielded no positive outcome. Israeli Justice Minister Tzipi Livni, and Netanyahu’s special envoy Yitzhak Molho, represented the Israeli side, while chief negotiator Dr. Saeb Erekat and Palestinian Intelligence Chief Majid Faraj represented the Palestinian side. U.S. Special Envoy Martin Indyk supervised the meeting and tried to moderate it, but it ended with complete failure following a very stormy session filled with what Haaretz described as “threats and accusations”. On Thursday, the White House said the Israeli decision to void the release of the fourth phase of veteran Palestinian detainees “poses more difficulties in achieving peace”. The detainees were supposed to be released by the end of last Month, but Israel delayed the release and decided to void it. Livni told Erekat that Israel will not release the 26 veteran detainees because the Palestinian Authority filed an application to join 15 UN and international agreements and treaties. The United States said it “would continue its efforts” to ensure the resumption of peace talks between Israel and the Palestinians despite the current impasse. Israel's government has announced the construction of thousands of settler housing units and its army has killed 60 Palestinians in the West Bank and Gaza since the negotiations were resumed last year. Hundreds of Palestinians were kidnapped, and hundreds were injured. On Tuesday, at dawn, [December 31, 2013] Israel released 26 veteran Palestinian detainees, as part of the third phase of releasing all detained Palestinians held since before the first Oslo peace agreement in 1993. During the first and second phases, Israel released, back in mid-August, 26 veteran detainees (14 from Gaza and 12 from the West bank) and, in late October, it released 26 veteran detainees (21 from Gaza and 5 from the West Bank). The fourth and final stage of releasing veteran detainees was supposed to be implemented on March 28, 2014, but Israel decided not to let them go. In total 104 veteran detainees were supposed to be freed by March 28. Approximately 84% of the detainees are from the West Bank; all detainees are held in 17 prisons, detention and interrogation centers, including Nafha prison, the Negev Detention Camp, Be’er As-Sabe’ prison, Hadarim prison, Asqalan Prison, Ha-Sharon Prison, Ofer Prison, Majiddo Prison, Galboa’ Prison and Shatta Prison. In a report published on April 1, 2014, the Ahrar Center for Detainees Studies and Human Rights has reported that Israeli soldiers have killed twelve Palestinians since the beginning of this year, kidnapped 364 in March, and 1059 since January first.